Learning a foreign language isn’t an easy feat, as you will all probably know. However, what many of us don’t realise is that the difficulty doesn’t lie in the language itself even though language is a complex system made up on small intricate components that make us think it’s the hardest thing on earth to learn. But in truth, the difficulty originates from ourselves and the way we approach language learning. 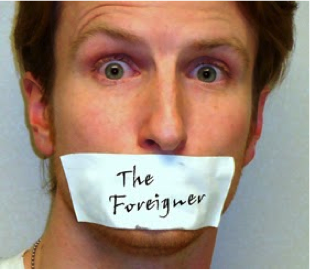 Below I have highlighted several common language obstacles that you may identify with. What is your motivation for wanting to learn a new language? Do you want to use it to travel or are you just looking for a new challenge? Set yourself a clear goal when it comes to language learning and you will be a lot more motivated to keep learning it. Another thing that would surely keep you motivated is if you keep tracking your progress. We all want to do something and get results and if we see these results we’ll be much more motivated to keep learning the language instead of giving it up because you’re not realising how far you’re coming. In the same way people set goals at the gym to finally get the beach body they’ve always wanted and document all their trips to the gym to see how their muscles are shaping up post-gym session; language learners should also take this approach. We all like getting results and seeing the rewards of our efforts so it isn’t any different when you learn a language. In order to help you to set your goals we invite you to join our STARTober challenge and start something new this October to help you to improve your English, we have selected a different range of options to help you to choose yours! Find our more about the #WCEstoptober challenge. Share your challenge using the hash-tag ‪#‎WCEstartober‬ . See what #WCEstartober challenge our staff have chosen! Possibly the most common excuse that comes between someone and the language they’re trying to learn. It’s also the lamest excuse because if you really want to learn it, you’ll definitely find time to squeeze it in. You could dedicate as little as 1 hour per day before you go to bed or when you get in from work to the learning of a language. No one’s saying you need to dedicate most of your time to language learning … just some of it. This ties in with the first two difficulties (that of ‘motivation’ and ‘time’) because if you don’t have a valid reason behind learning a language and don’t find it easy to manage your time, then you definitely won’t prioritise it learning a language and will eventually forget about. Again think about what is motivating you and what the end result is that you would like to achieve? 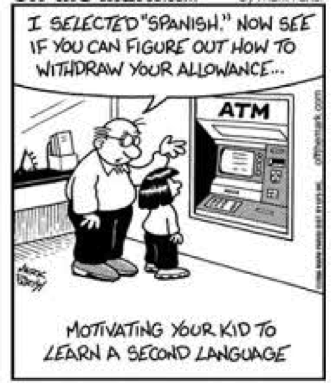 Also linked to motivation… it is fundamental to actually have an interest in the language and the its culture too otherwise your motivation to learn it will be inexistent. Read up on the culture of the country, its history, literature and arts. Find a book that you’d like to read by an author from that country and you’ll see how much you’ll improve your cultural and linguistic awareness. You can’t do half the job when learning a language, knowing the culture and having a real interest in it is essential for your success in that language. This is one of the most frustrating obstacles for language teachers to see their students go through. Very often language learners are often seen reaching out for the dictionary for every word that they do not know in a language and when the meaning of the word is explained, are still not satisfied until they know the equivalent in their mother-tongue. As mentioned in a previous blog post to this one, it is important that we manage to distance ourselves from our mother-tongue to make sure that it does not get in the way of how quickly we learn our new language. There is always a danger that such students will feel frustrated and will eventually quit learning because of this habit. Learners are encouraged to put away the dictionaries and try to figure out the meaning of unknown words for themselves purely from the context. It can actually be very rewarding if you figure out the meaning of the word without the aid of a dictionary. Language learning will involve a lot of uncertainty as there will always be new words and annoying exceptions for grammatical rules so it is important to accept this as early as possible and avoid picking up that dictionary unless it’s really necessary. Fear is a nasty psychological barrier that seems to get in the way of a lot of things. With language learning this should be avoided. To truly improve and put your new language skills to use it is important that you SPEAK. Learners often freeze up when it comes to speaking a new language out of embarrassment and fear that they will make a terrible mistake or mispronounce something. It’s happened to the best of us, trust me, because no one wants to be ridiculed but you’ll soon realise that sooner or later you’ll have to speak to get things across especially if you are living in the country of your target language so why not start sooner rather than later? The thing is that learners have to remember that making mistakes is the best way to learn and correct them before these mistakes become habits that are hard to rectify. Sooner is better than later and the sooner you speak the quicker you will improve. By worldchoiceeducation in Uncategorized on October 1, 2015 .